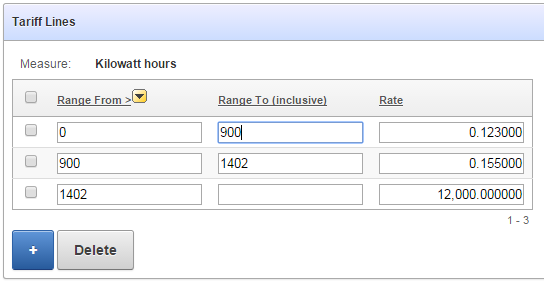 If you decide to use an editable tabular form to present a number of records for viewing and/or editing, but you have some users who are only allowed to view the data but not edit it, you’d think you could set the “Readonly” condition on the region; but this condition is only applied to any extra region items you add, not to the editable items within the report itself. One way to get around this is to have two separate report regions on the page – one is the editable tabular report, the other is an ordinary standard report that doesn’t have any of the edit capabilities – and use conditions to hide one or the other depending on the user’s authorisation. 2. Put the same condition on the Multi-Row processes so that they will not run if the user doesn’t have edit privilege. There are other variations on this theme, e.g. we could target the jQuery expression to just the text inputs while still allowing the user to use the checkboxes (e.g. if there was some action that we wanted to allow). Of course, if I wanted to hide the checkboxes completely, I’d just put the authorization on the [row selector] column in the tabular report definition.